4th & Final Test of the Border-Gavaskar Trophy ends with a draw as Rahane & Bhuvneshwar Kumar's partnership helps the visitors prevent another defeat. This Test began with a stupendous performance by the hosts posting a total of 572 runs on the board in their first innings followed by a tough fightback by the Indians who were bowled out on 475. Australia's first innings saw four 50+ & two 100+ scores. As for India, Lokesh Rahul succeeded in proving his Test potential scoring 110 & being invloved in a strong partnership with the current Captain, Virat Kohli. The latter became the first in the history of cricket to score 3 Tons in the 1st 3 innings as a Captain & surpassed Dravid's tally of 619 runs to be the Indian player with the highest runs in a Test series against Australia. 2nd innings for Indian bowling was still better than the first as the bowlers got away with some of the big guns cheaply. Indians had to chase 349 to win it. Vijay who in the first innings departed on a duck went to to score 80 runs. The best part of the last innings was Rahane & Bhuvneshwar Kumar's partnership in the last 10-12 overs when India were 7 down & another defeat seemed to be on cards for them but these 2 stuck to the field, did not lose their wickets & helped the team to end things off with a Draw. The series witnessed positive & negatives of both Australia & India. India who faced a faced a debacle back in 2011-12 series playing against the Aussies & getting whitewashed by 4-0 saw some improvement this time with 2 Defeats & 2 Draws. The 1st Test however was close & could have been drawn by the visitors but loss of some important wickets lead to their loss. Virat's captaincy was being observed in the 1st Test as he had to stand in for the injured Captain MS Dhoni whose retirement after the 3rd Test came as a big shock for everyone. It was being predicted that he would step down as a Captain from Test after the series ends & will continue playing the format but this did not happen & Virat's captaincy came under the scans in the final test. For the hosts, David Warner, Clarke who was injured in the mid of series but did well till the time he played, Marsh, Burns, Rogers & the Captain were very impressive with the bat. 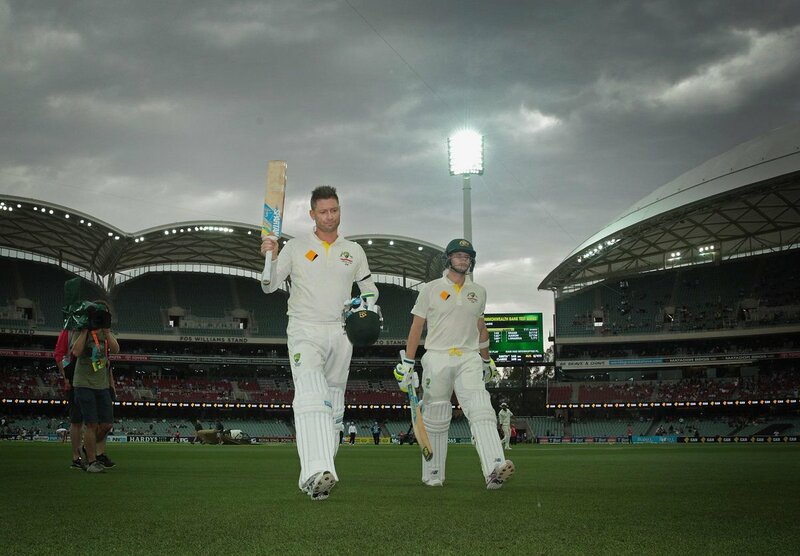 Steve Smith who took Clarke's position as the Skipper due to the latter's injury scored 769 runs inlcluding some massive scores of 192,162 & 133. The power of the Aussie tailenders was seen as they contributed some great amount of runs few times. Vijay who was continously criticized for his failure overseas answered back with his performace & scored five 50+ scores & a magnificent 144. Rahane also contributed very well this series scoring 399 runs & being a part of some of the most crucial partnerships. Raina who got a chance to play in White after a long time & prove his potential in the format failed badly getting out on duck in both the innings of the only test he played this series. Dhawan too failed most of the times. Hazlewood taking 12 wickets in the series with economy of 2.8, Lyon taking 23 wickets with 3.6 economy, Johnson with 3.8 economy & 13 wickets & Hazlewood with 12 wickets & 2.8 economy shone as far as their bowling department was concerned. Bowling was a big disappointment for India & runs seemed to be simply leaking. Shami was the highest wicket taker for India with 15 wickets. Ashwin was a big positive when we take into account the final test scoring 50 runs & taking 4 wickets. Fielding of India was a matter of concern as we saw many catches being dropped. What came as a negative side from the Australian side was the rude & provoking behaviour of their fans towards Indian players. 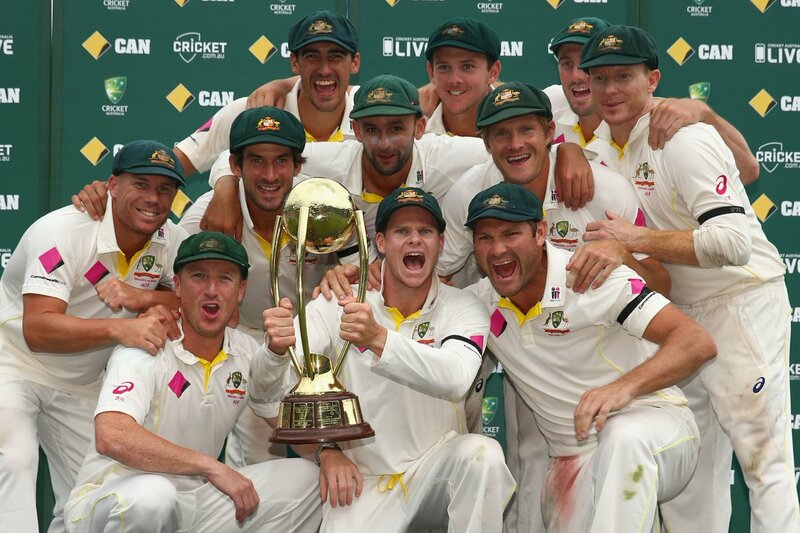 So, Australia won the series by 2-0 with Steve Smith being the "Man of The Series". Next, England will join India & Australia in the Tri-series the 3 play. Tri-series begins from 16th January 2015. 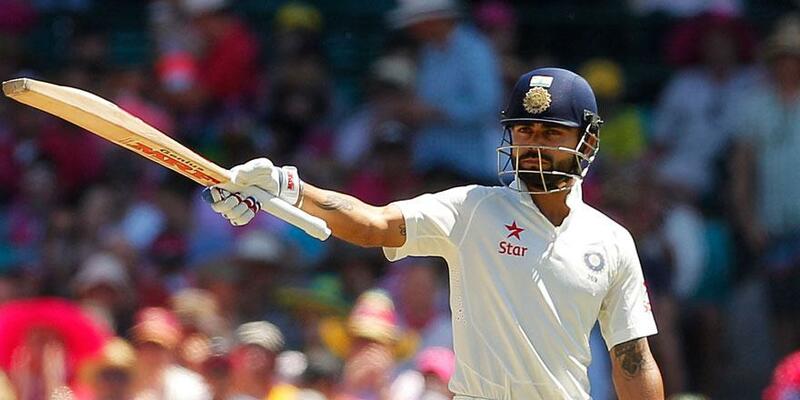 Reviewing the four-test series between India and Australia.